When the Commissioner inspected the ongoing works on Saturday, the representatives explained to him that stones from Rajasthan were being used for cladding the clock tower. 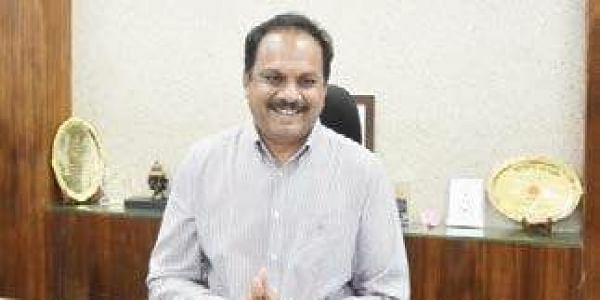 VIJAYAWADA: The representatives of the contracting agency constructing the Judicial Complex in Amaravati informed AP Capital Region Development Authority (APCRDA) Commissioner Cherukuri Sreedhar that the structural works of the project would be completed by November 20. They further informed the Commissioner that the structural works of the 36-metre-high clock tower, one of the unique features of the Judicial Complex, were concluded and that the remaining civil works would be taken up from Monday. When the Commissioner inspected the ongoing works on Saturday, the representatives explained to him that stones from Rajasthan were being used for cladding the clock tower. Speaking on the occasion, Sreedhar asked the agency to expedite the works and ensure the completion of the project by mid-December. Later, Sreedhar also inspected the works of the housing project, Secretariat and HoD towers. Additional Commissioner S Shan Mohan and other officials were also present.